O.J. Simpson could be back to his old ways of golfing and-stabbing by Monday, according to Nevada prison officials Wednesday. The 70-year-old Juice is set to be transferred to High Desert State Prison for release, Nevada Department of Corrections spokeswoman Brooke Keast told the Associated Press. According to a friend of Simpson’s, Tom Scotto, the Pro Football Hall of Famer is due to be released “shortly after” Oct. 1. 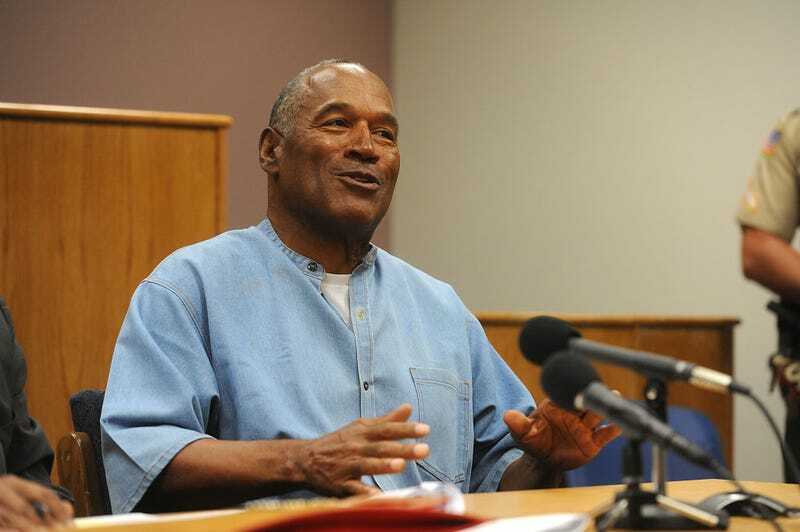 Simpson was granted a Oct. 1 parole date during a jovial parole hearing that was held in July. During the hearing, jokes were made about Simpson’s age and even the time he’s spent connecting with other inmates. Simpson has spent the last nine years in jail, not for murder, but for trying to reclaim memorabilia that had been stolen from him. Simpson is expected to spend his time in Florida under supervision, and he said he is eager to get back onto the golf course.